889's Yoga Teacher Training Program is Back! Are you IN? 889’s Yoga Teacher Training Program is Back! Are you IN? We have collaborated with yoga’s best and brightest to bring you a phenomenal Yoga Teacher Training in 2018! 889’s Yoga Teacher Training is unique in its depth, and level of care and support for its students. Our Faculty are diverse, highly experienced, Toronto-based teachers, each eager to share their specific area of expertise with you. During 889’s Yoga Teacher Training, you will be exposed to many different methods of learning. 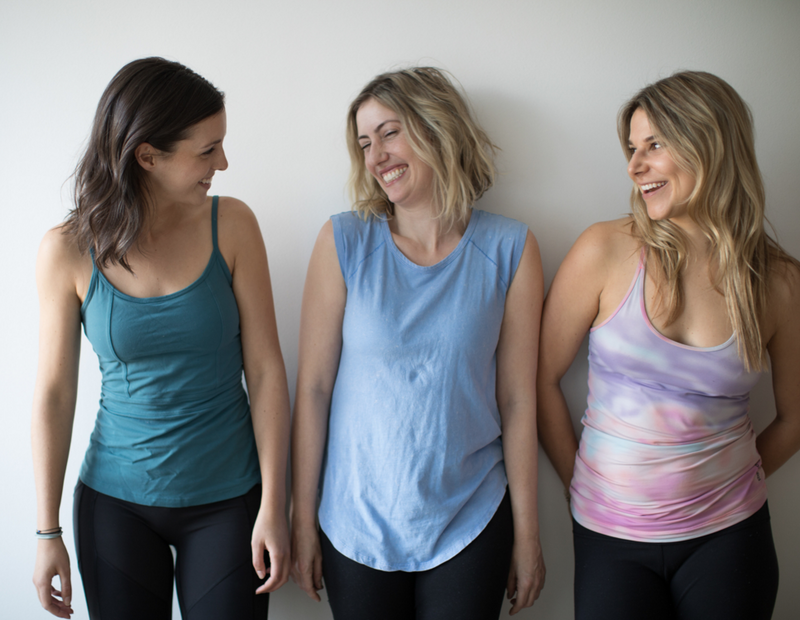 Most noteworthy will be informal evening chats and powerpoint presentations, quiet meditations and restorative practices to hands-on assists in asana class to practical real-world teaching assignments. Experience soulful Vinyasa Flow Yoga, influenced by the Prana Flow teachings of Shiva Rea balanced with strong components of Yoga Anatomy, Yoga Philosophy, Restorative Yoga, Sanskrit, Chanting and Meditation. The beautiful medley of modules in 889’s YTT will fully prepare you to begin your transition into a well-rounded teacher. Upon graduation, you will step out into the World with many tools beyond what you need to be successful as a Yoga Teacher. The Teaching Practicum is a major focus of this Yoga Teacher Training Program and as a result, will prepare you to confidently guide an integrated class to students of all ages and levels of experience upon graduation. You will be thoroughly trained on how to use your voice, hands-on assists, listening skills, observation skills and effective sequencing to enhance your classes. In addition, our faculty will encourage you to question everything you learn throughout the program so that you develop strong critical thinking skills. Furthermore, we encourage you to take the time to self-reflect on a deeper level so that you develop your own unique style of teaching. We can’t wait to see what each of you bring to our 889 Community! This Yoga Teacher Training program is for absolutely everyone. If you are not sure if you would like to become a yoga teacher but are interested in diving deeper into your personal practice, your body, and your mind, this program is definitely for you. To learn more, please book a complimentary one-on-one meeting with one of our Happiness Team members by emailing: happiness@889community.com. Maintain your day to day life: work, family and personal, while studying. All classes will take place in the evening after 7pm and on the weekends. 10-week intensive program: After only 10 weeks of in-depth training and study, you be on track to graduate and start teaching come summertime! Module Based Learning: Learn at your own pace. If you cannot commit to the entire program all at once, take each module one at a time, and graduate when you have completed all program requirements. Receive all 889 Member Perks: Receive one complimentary towel each time you join us for a class, 10% off The 889 Shop, discounts on 889 workshops and private YTT Mat Storage. Build relationships and friendships: for life! And become an integral part of the 889 Community. 889 Karma class: upon graduation, you will have the opportunity to teach a community class for 4-6 weeks at a time on the regular 889 schedule! BONUS OFFER: Sign up by March 1st to receive a complimentary 3-month membership to 889 + a free BMat from BYoga! A value of $558+hst. The 889 Yoga Teacher Training is for someone looking to deepen their knowledge of yoga, in its many forms. Some students have a clear intention to teach upon graduation, others just want to enjoy the path of self-discovery. This course offers valuable life skills which will carry and elevate you far beyond your yoga mat (ask any of our Graduates!). These include embodied movement and physiological awareness, critical thinking skills, presenting arguments, and conscious communication. The schedule is manageable for those running a home and for those with full-time careers or studies with some advance planning and commitment. On top of the classroom hours, you should expect 2-3 hours of reading and homework per week. A minimum of 6 months practising yoga and/or meditation or studies in other related mind-body disciplines is required. In addition, we strongly recommend that you begin a regular practice at 889 prior to the program commencing, with a focus on 889 Flow classes. As a result, you will get the most out of your 200-hour Yoga Teacher Training Program. CREDITS: 889 Community is an accredited Yoga Alliance School. Therefore, upon completion of the program and final exam requirements, you will be qualified to register with the Yoga Alliance in order to receive your 200-hour Teacher Training certification. This is a 200-hour Yoga Alliance (www.yogaalliance.com) certified program. PAYMENT: Full 200 Hour Program: $5500+HST. Payment plans are available. Please email happiness@889community.com for details. May you be happy, healthy +peaceful. Join the 889 Community and stay connected for the latest and greatest with everything you need to know about the studio and the 889 Shop! Your TTprogram is exactly what I am looking for but there is a slight glitch…. I live in Montreal! Any chance you will be opening up here any time soon? If not , could you refer me to maybe a sister studio ! Dear Guru thanks for sharing this article. This article is beautifully written with full of rejoice and confident in your teachings and blessings. We are lucky to find you. Your teachings and blessings made us complete. Without your teachings we would have a incomplete life. Your teachings and techniques are really helpful for us and other which are suitable for this modern life which is full of confusion. May Guru and his consort be protected and live long for other beings and get enlightened. May all beings be protected and get enlightened. Om Mani Padme Hum..( )..
Paul, this is a departure for you at least in style – stirring stuff. Leading me to tweet: Great graduation address by @FrijtersPaul I have no idea whether it was a graduation address or even an address, but it”s inspiring stuff Who knew he could be this compelling and eloquent Not me Not until now that is Read it Read it now! It reads like a speech or something. Is there any story of note regarding its genesis or did it just roll off the keyboard?